Photo taken by Mass Communication Specialist 1st Class Chris Fahey via Flickr. August 7th marks the third anniversary of Purple Heart Day and commemorates the creation of the Purple Heart Medal in 1782. The Purple Heart medal is awarded to members of the United States military who are wounded or killed in combat. 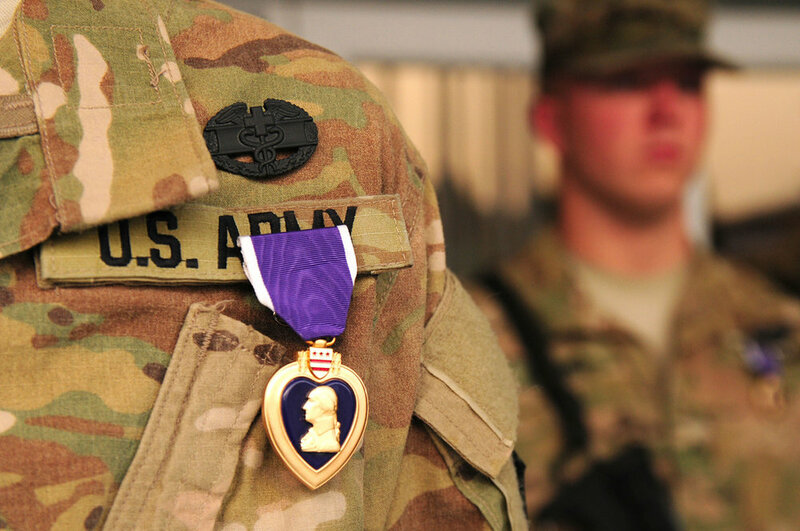 The predecessor to the Purple Heart medal was the Badge of Military Merit, created in 1782 and retired shortly thereafter. This holiday was first observed in 2014. For more information on National Purple Heart Day, click here.